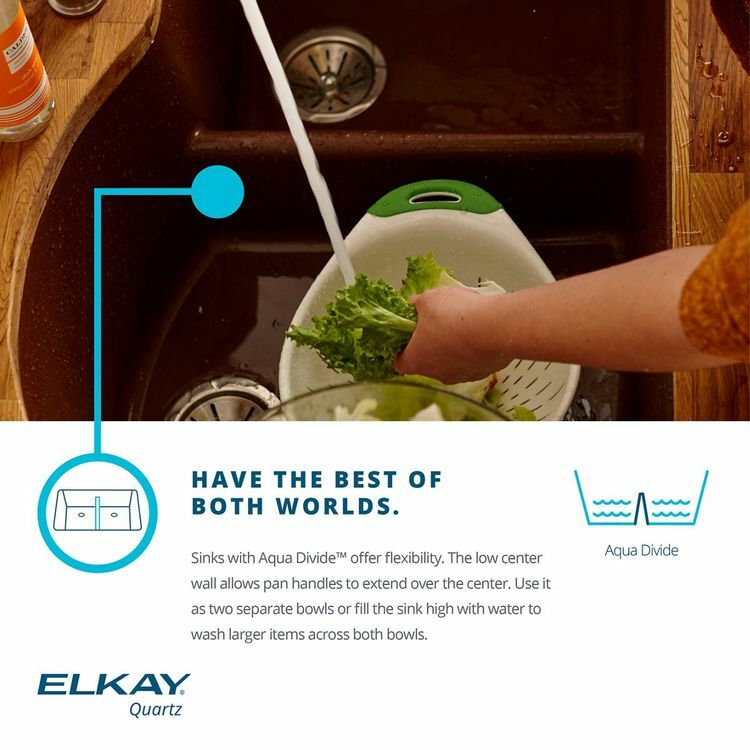 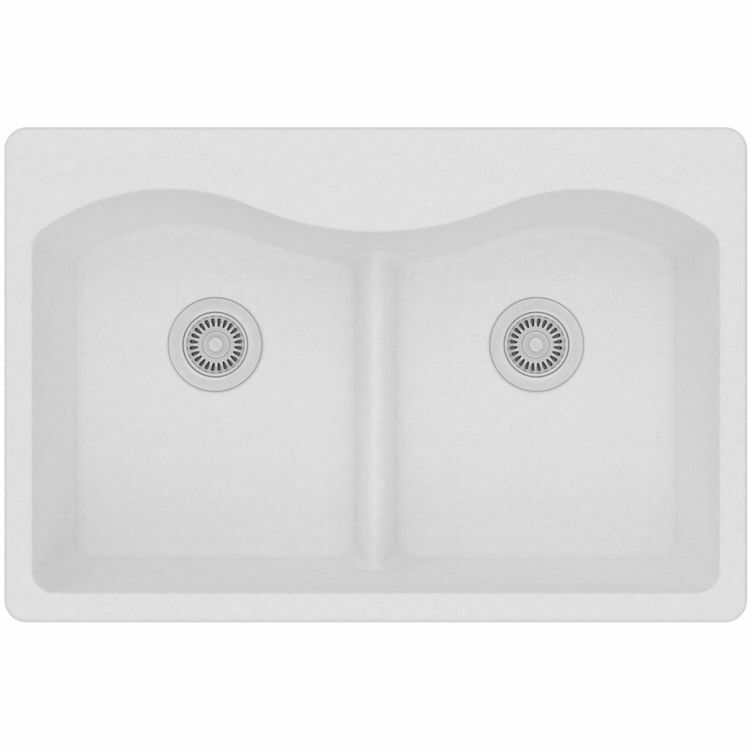 The Elkay ELGLB3322WH0 Double Bowl Harmony E-Granite Sink. This high-quality E-Granite sink is rectangular-shaped and is designed for a top mount installation. 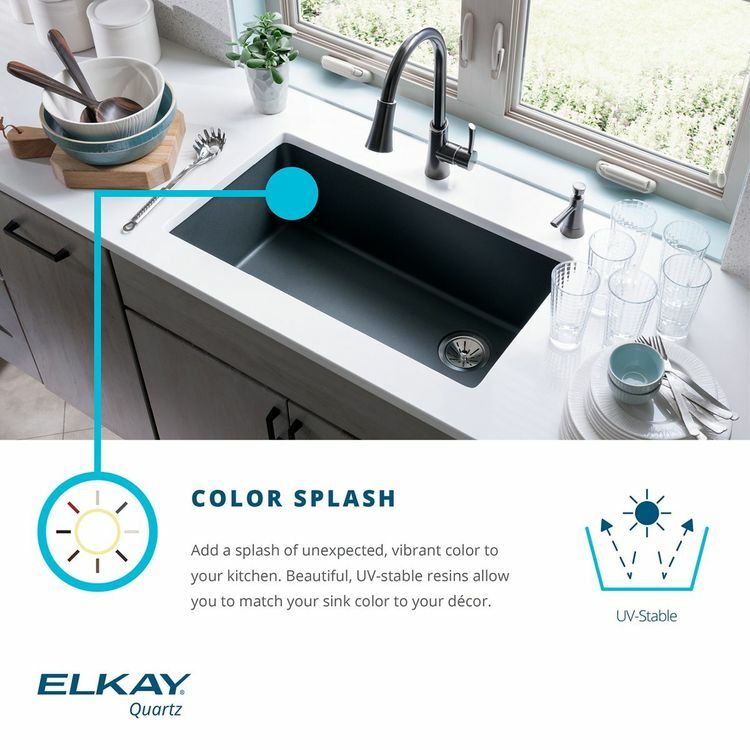 This Elkay ELGLB3322WH0 is from the special Harmony E-Granite collection. 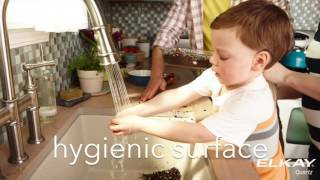 E-Granite is non-porous and can resist staining and it is also hard enough to resist scratches and chips. 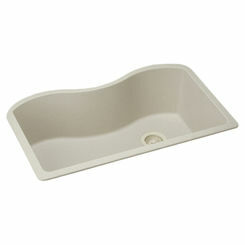 The overall dimensions of the sink are 33" x 22" x 9-1/2". 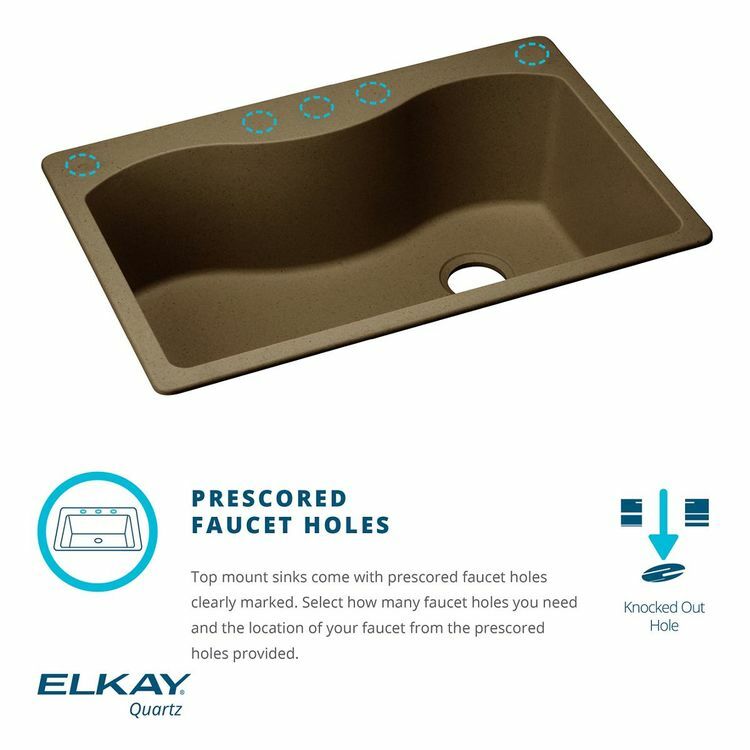 The sink is not furnished with a faucet hole. 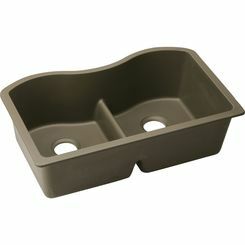 Its 3-1/2" drain holes are located at the rear center of both bowls (refer to the specification sheet). 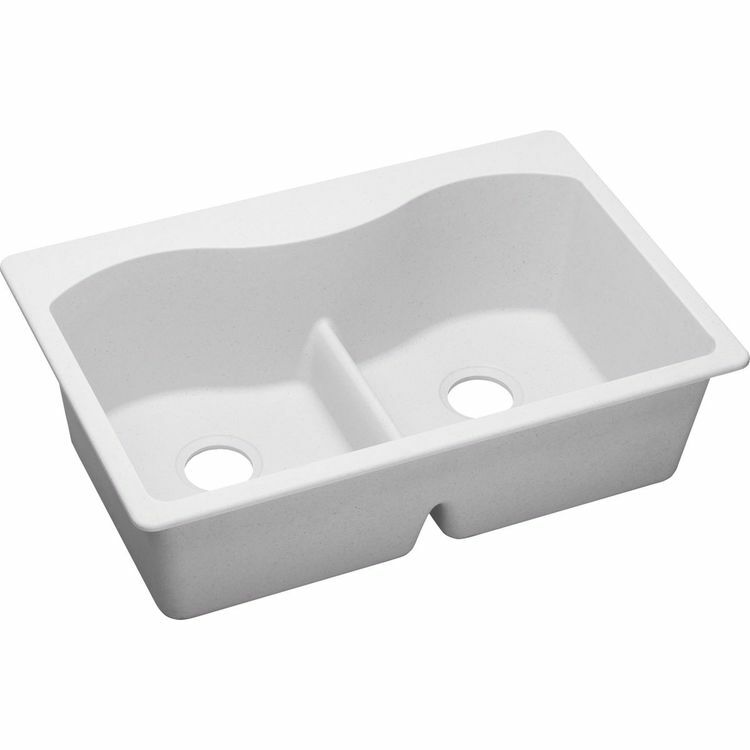 The sink has a white finish and it is molded with up to 80% natural quartz and incredibly durable acrylic resins. 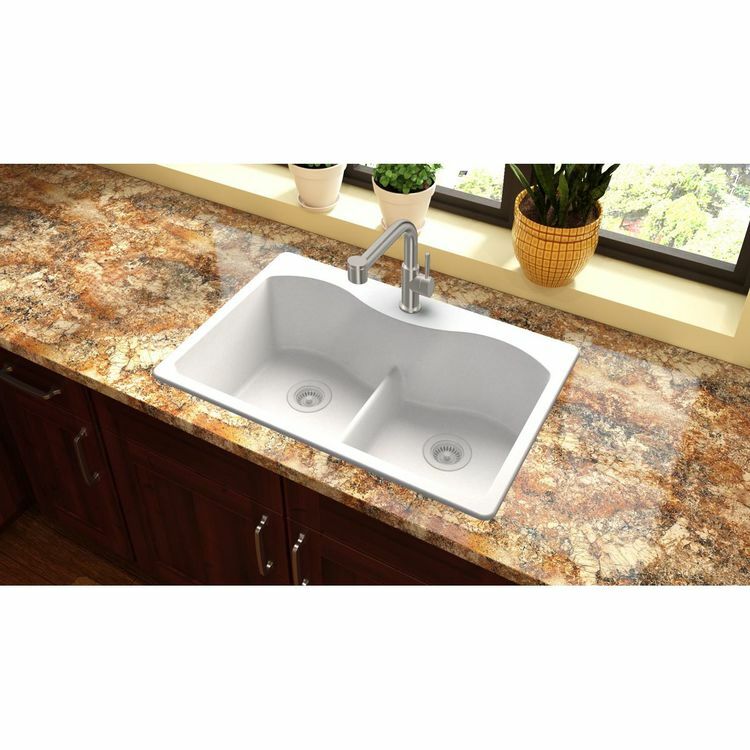 The sink is naturally sound deadened and it is heat-resistant. 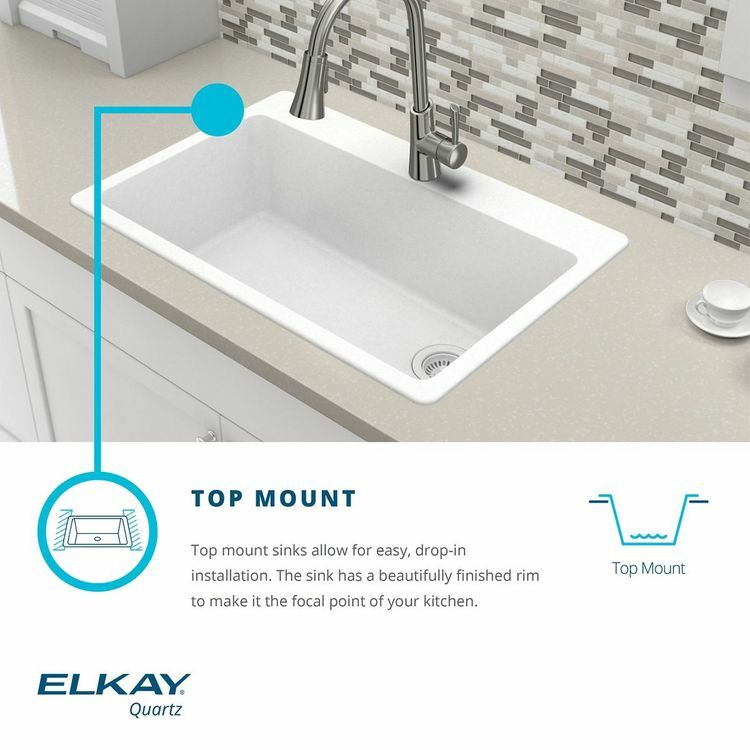 The Elkay ELGLB3322WH0 Double Bowl Harmony E-Granite Sink complies with CSA B45.5 / IAPMO Z124 and are listed by IAPMO as meeting the applicable requirements of the Uniform Plumbing Code, International Plumbing Code, and National Plumbing Code of Canada. 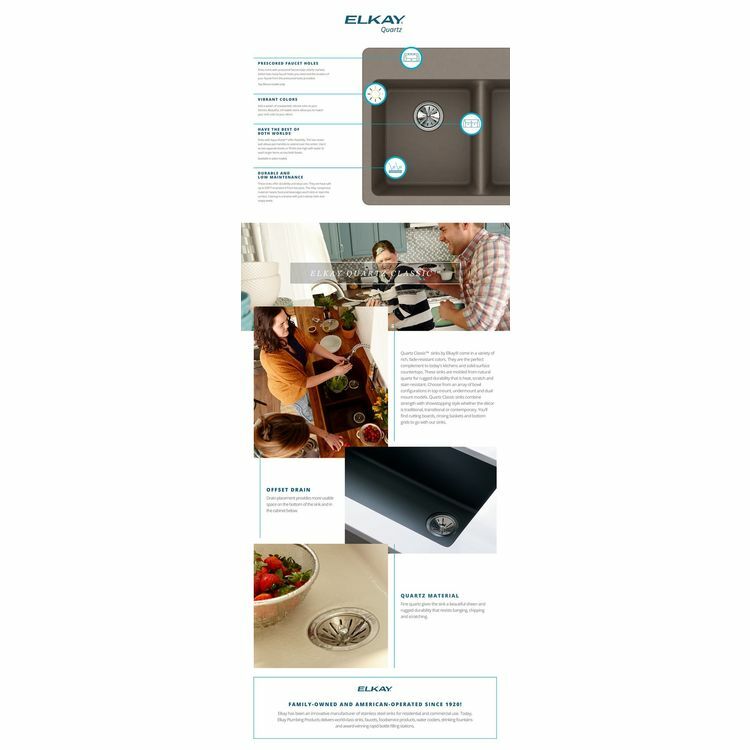 It has a limited lifetime warranty from the date of purchase. 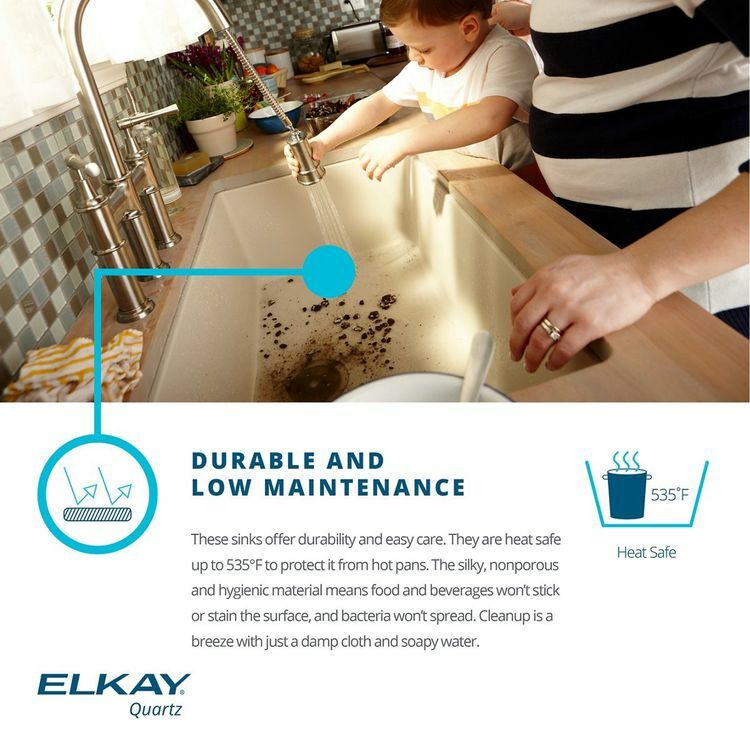 All Elkay products are made in the USA. 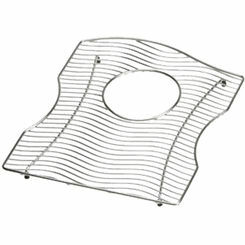 Shipping Dimensions 37.7" x 26.8" x 16.1"
Shipping Dimensional Weight 91.90 lbs.